From the first application, Radia Clarifying & Softening Shampoo removes chemical build-up and detoxifies hair while it softens hair strands. 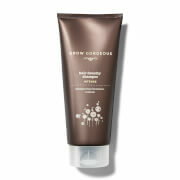 This ultra-purifying effect is delivered without stripping hair or scalp of natural moisture. 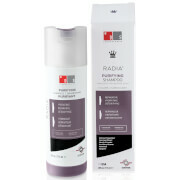 Radia can be used as a daily shampoo, and it should be used at least occasionally. 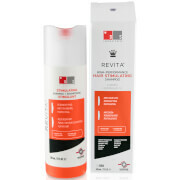 Routine use of Radia means that other hair products can deliver their optimal efficacy, so users enjoy maximum radiance and shine. Water, Ammonium Lauryl Sulfate, Aloe Barbadensis Leaf Extract, Cocoamidopropyl Betain, Ammonium Laureth Sulfate, Peg 150 Distearate, Keratin, Panthanol, Polyquaternium-10, Hydrolyzed Adansonia Digitata Extract, Cetrimonium Chloride, Glyceryl Stearate Se, Polysilicone-15, Potassium Trideceth-7 Phosphate, Disodium Edta, Methyl Alcohol, Caprylyl Glycol, Methylisothiazolinone.